FotoSketcher is a free program which can help you convert your digital photos into art, automatically. If you want to turn a portrait, the photograph of your house or a beautiful landscape into a painting, a sketch or a drawing then look no further, FotoSketcher will do the job in just a few seconds. Fotosketcher itself is fine, and if you avoid OpenCandy (here OpenCandy is blacklisted on HOSTS file) then you can get the medicine without the snake. One star here because I am fed up with OpenCandy and all of the sort included it installation applications. There is, on the developer's page, a portable version which, consequently, is free of OpenCandy parasite. Minor deduction for additional toolbar install (minor because it's there and website has that layout where you might click and download something else thing going on). As far as the program goes, I like it. I use Photoshop myself but for some simple filter effects, it's not a bad program. And though I haven't used any modern Photoshop (just 5.5), the filters here seem to create some better effects. I like the pen and ink and painting effects. You can adjust the filter effects, save them, load them and reset. Great freebie. Downloaded and tried it once again to see if there was an improvement from 2010. Well, I guess not. And, as I said last time, it surely doesn´t rate a 5. Once again I wasted my time. Surely, it doesn't rate a five. A bit too complicated and the results are not impressive. Brilliant program. I've tried several plugins for other programs purporting to do similar effects, but the effects from Fotosketcher are among some of the most realistic and appealing I've seen. 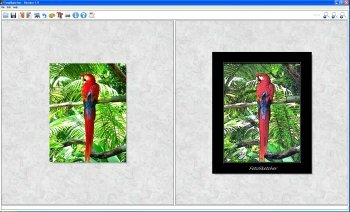 Throw the right photo through this program and you have something that would look great printed and framed in an 8x10 or larger on your desk or wall. Simple and does what it says it will do.